Healthy aging is a hot topic. 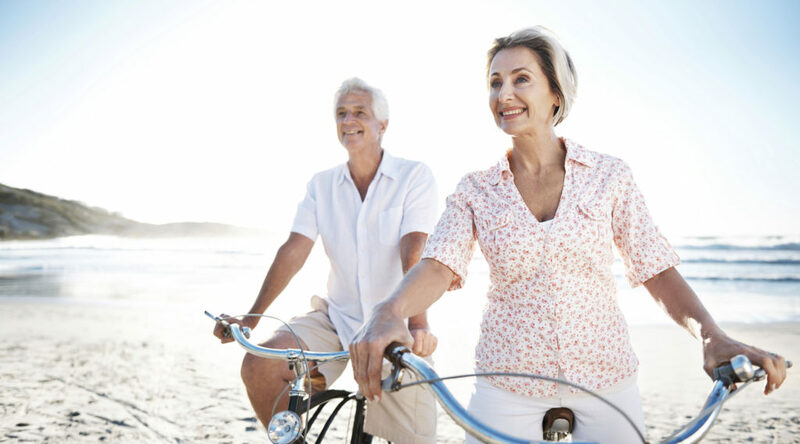 Whether you’re concerned about weight gain or chronic diseases, the key to healthy aging is a healthy lifestyle. The good news is that no matter your age, it’s never too late or too early to take charge of your health and lead a more vibrant life. Aging increases the risk of chronic disease and disability. The three main factors in healthy aging are (1) genes and family history, (2) lifestyle practices and exercise and (3) diet and nutrition.Establishing healthy lifestyle practices that include regular aerobic exercise, resistance training and healthy eating habits are essential for maintaining a strong body and immune system. B vitamins: B vitamin intake is often insufficient in older age groups. This group of vitamins is essential for the health of brain tissue and studies have shown that a deficiency in B vitamins is associated with a decrease in cognitive function. Dietary Fibre: Both soluble and insoluble fibre support proper digestion and digestive system health — essential for maximum absorption of macro and micronutrients. We all have different purposes in life. Here at Reliv, we want to help people live full, healthy lives — to Nourish Our World. We formulate our nutritional products to fuel these healthy lifestyles. In fact, all of these youth-promoting nutritional compounds mentioned in this bulletin can be found in Reliv products — and that’s just to name a few. We pursue our purpose so you can pursue yours, whatever that might be. Posted in Health and tagged aging, healthy, nutrients, weight.